Have a great experience to discover the charming water of Marsa Alam, Red Sea during your unforgettable snorkelling day trip At Port Ghalib Marina where you will see lots of corals and colored fishes. 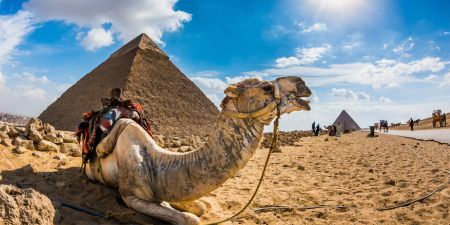 A Memphis Tours Representative will pick you up from your hotel at Marsa Alam, then he will accompany you to Port Ghalib Marina, where you will start your enjoyable trip across the shining water of the Red Sea. Board your boat and enjoy sailing for Approx. 30 minutes to the first snorkeling stop “ Marsa El shone” where you will see lots of corals and different kinds of colored fishes, then back to the boat to sail for Approx. 20 minutes to Marsa Mubarak (second stop) which is considered one of the most beautiful snorkel and dive sites in the area of Marsa Alam. During this tour you will be able to explore the protected bay of Marsa Mubarak, which shows some of the most beautiful coral reefs in the Red Sea and the magnificent underwater seascapes. The crystal clear warm water of this site hosts a great variety of flora and fauna.If you are lucky, you may even get a glimpse of the endangered Dugong “sea cow”, which occasionally visit this sheltered bay to graze on the sea grass. Enjoy your lunch on board before reaching a lagoon spot for snorkeling by the Zodiac boat, then you will sail back to the marina of Port Ghalib where you will be met and assisted, Then you will be transferred to your hotel in Marsa Alam.